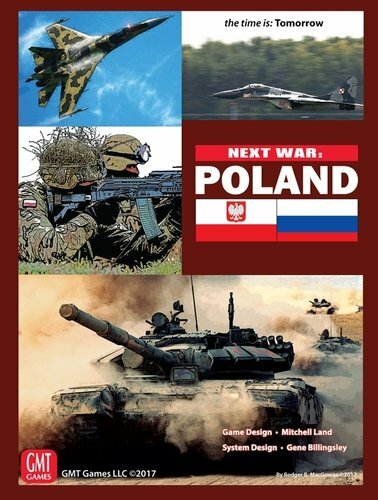 Next War: Poland, the fourth volume in GMT's Next War Series. 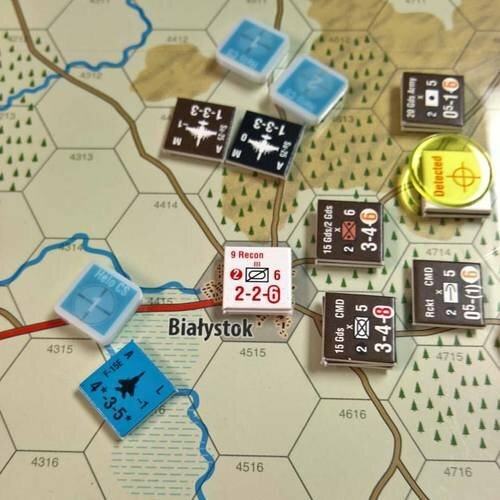 This game moves the action from Asia to Europe and allows players to fight a near future war in Poland as the Russians and their allies invade and NATO responds. 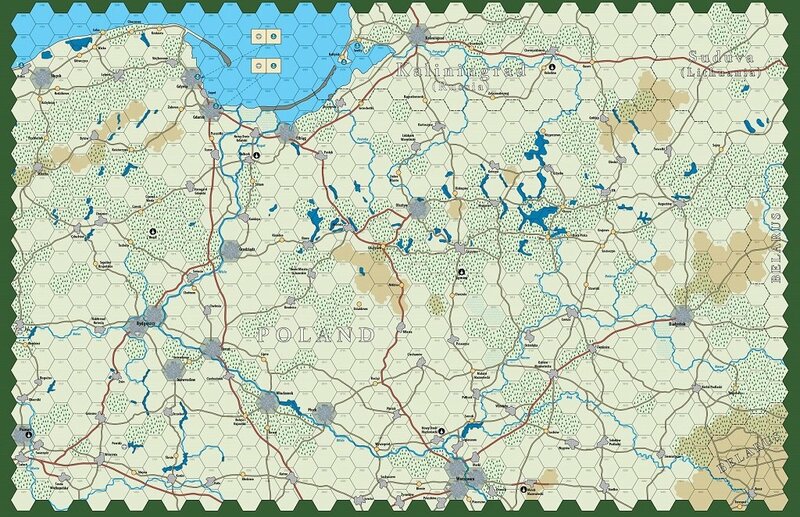 A large portion of Poland is represented by the Operational (hex) map, while the Baltics are represented by a Strategic Display (similar to Next War: Taiwan’s). The Russians are not the behemoth of the Cold War, but they possess good material and a much better trained army than before. The Baltics, using new rules and mechanics, may fall quickly, although their forces may put up some resistance and make an appearance as reinforcements, while the front quickly establishes itself in eastern Poland as the Russian 6th and 20th Armies push forward to seal the Suwalki Gap while NATO rushes forces into the area spearheaded by the Allied Rapid Reaction Corps and followed up by whatever nation’s troops respond to the Article 5 declaration. The question is, can NATO stop the Russians or will Poland be overrun while Russia presents the world with a fait accompli? Note: the Next War series is not an Introductory wargame. Rather, we have intended herein to create a system (and a series) that will allow detailed study of modern warfare in various venues as well as engaging gameplay. That said, the Standard Game rules encompass a fairly straightforward ruleset that will, we think, be considered pretty "easy to learn" by experienced wargamers. So players who choose to play Standard Game scenarios can have a relatively quick game when that's what suits them. 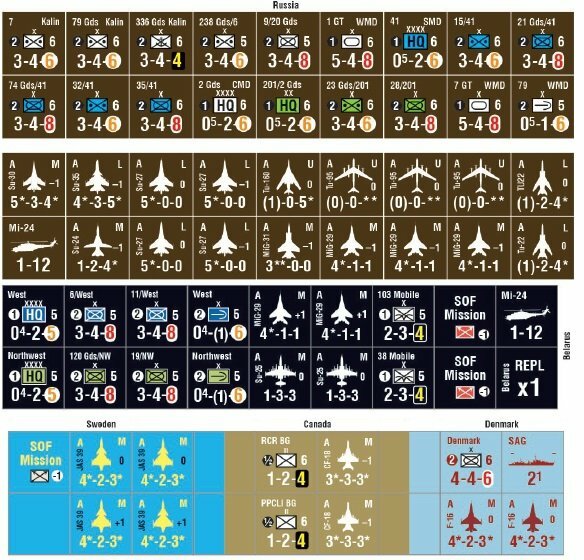 The real flavor of a war in the theatre, though, comes through in the Advanced Game, where you get much more control over airpower and can more clearly see each side's strengths and weaknesses. For players who want a "mini-monster game" experience, playing the Advanced Game Campaign Scenarios with some or all of the optional rules will definitely "deliver." Ownership of any previous Next War Series game will NOT be required to play. 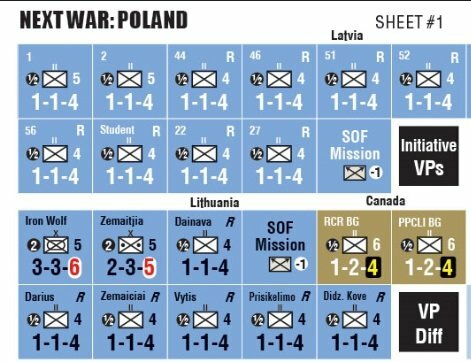 Ground units in Next War: Poland represent primarily brigades, regiments, and battalions of the armies of the Russia, her allies, and NATO. All ground units are rated for their attack and defense strengths, movement capabilities, and unit efficiency. The game’s map represents the area in and around the eastern border of Poland at a scale of roughly 7.5 miles per hex. The map stretches from Kaliningrad Oblast in the north to Warsaw in the south, and from the Belorussian border west to Poznan. The Baltics are represented by a Strategic Display incorporating Land Areas and At Sea Boxes. 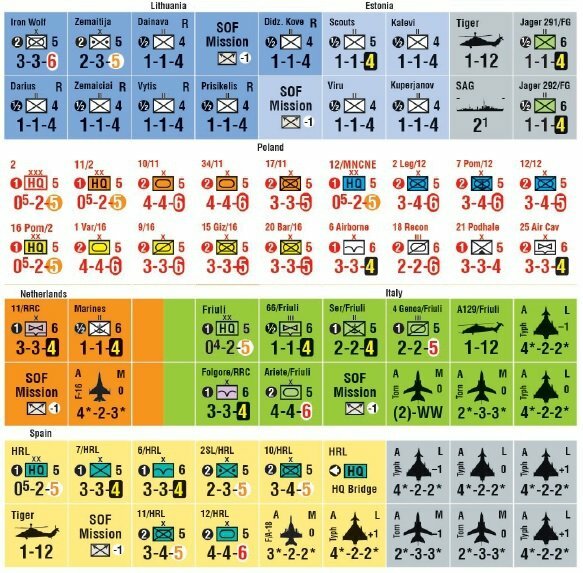 There are several Standard Game scenarios. Some are small and focus on limited objectives while others are variations of a campaign game encompassing the entire map. 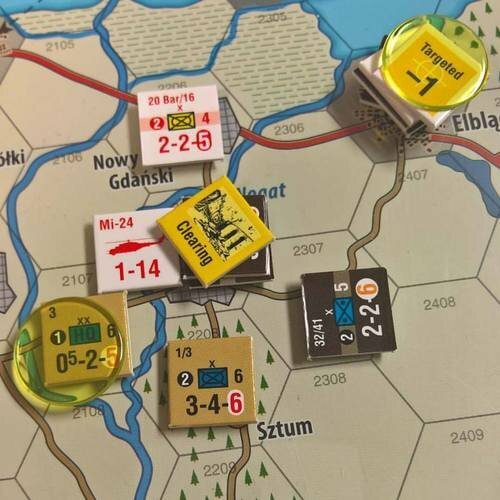 Similarly to previous games in the series, the Advanced Game scenarios will be divided into various starting points scenarios allowing reinforcements to arrive at differing times as well as providing additional logistical support. So, the question remains. Can you, as the Russian player, enforce your will on the West and regain your former status in world affairs. 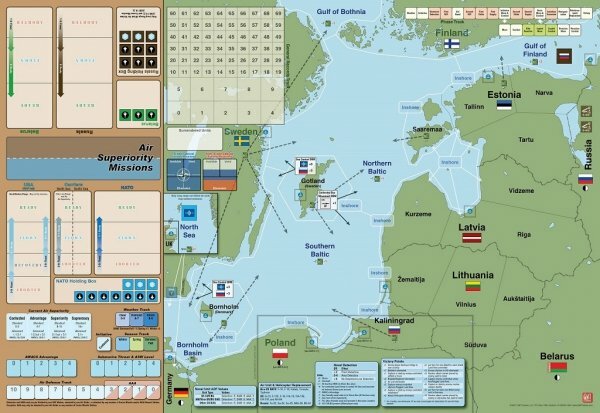 Or will you, as SHAPE (Supreme Headquarters Allied Powers Europe) successfully use the assets at your disposal to blunt the Russian attack and save Poland?